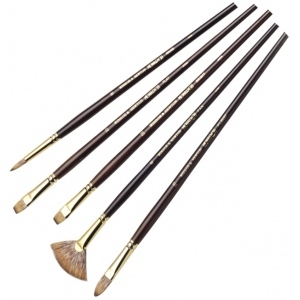 Ideal for blending glazing and fine detail with oils or acrylics. * Synthetic medium stiff filament is durable; mimics natural mongoose hair. * Spring is good for moving full bodied color.